As I hear about the unfortunate news of the shooting at The #Empire State Building, I have to wonder was #Jeffrey Johnson, the person who did the shooting mentally ill? It saddens me that this is thought of by many people when they hear such news. “Alleged Aurora, Colo, shooter #James Holmes met with not one, but at least three mental health professionals at the University of Colorado prior to the massacre,” CBS News reported. “As could be the case with Colorado shooter James Holmes, mental illness, combined with our broken mental health care system, may turn out to be the culprit in Wisconsin,” Fox News.com reported about #Wade Michael Page. “The records chronicle two telephone conversations and one in-person visit between Cho and mental health professionals at the Cook Counseling Center, the university’s student mental health services provider, in the winter of 2005…” reported by ABC News regarding the VA Tech shooting (#Seung-Hui Cho). “#Loughner is currently receiving treatment for mental illnesses at a U.S. Bureau of Prisons facility,..” reported by The Huffington Post regarding Gabby Gifford’s shooter. As a person with a mental illness, I have to agree. The stigma of having a mental illness is bad enough. However, when things like this happen, it just makes it worse. There is no doubt in my mind that the people who do these things are “insane” or “crazy”. However, I fear that the average person then comes to the conclusion that all people with a mental illness are violent. My hope is that more famous people who have been diagnosed with a mental illness come forward to show that not everyone who has a mental illness will do violent things like the recent shootings. I also hope that people are made aware that there is help out there. “Approximately 20.9 million American adults, or about 9.5 percent of the U.S. population age 18 and older in a given year, have a mood disorder.” reported the Kim Foundation However, many people don’t get help. Many people are misinformed and/or afraid of the stigma. 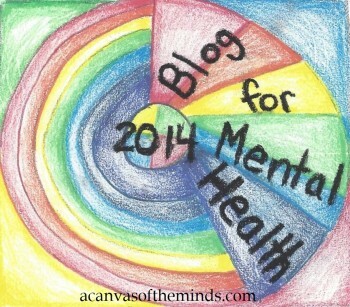 “There is a lot of help available for people with a mental illness. There are hotlines, mental health resource locators, therapists, doctors and many others. And yet, many people with a mental illness continue to live every day with bipolar disorder, depression, schizophrenia, post-traumatic stress disorder and other mental illnesses without getting help…..The number one reason people don’t get help for mental illness is because they are scared. ” stated Natasha Tracy on her website Bipolar Burble. There is a chance that the recent shooter at The Empire State Building did not have had a mental illness. (At this time, they think it is work-related.) However, if there was a poll done to see how many people when they first heard the news thought that he probably had some kind of mental illness, I predict that a large percent of people would have thought he did. I plead with politicians and famous people with mental illnesses to start reversing the stigma attached to mental illness. I was diagnosed with bipolar disorder about 25 years ago. It has been a struggle made worse by the stigma. It had started to get better. However, over the past few years, I believe that it has started to get worse again. I have been trying to fight this stigma for a long time. I even received a letter from President Clinton thanking me for my efforts. I thank those famous people who have tried to help with the stigma. I am most impressed with #Glenn Close who has a sister with a mental illness. They have a website http://www.bringchange2mind.org/ that I would suggest people who are wanting to know more visit. This entry was posted in Uncategorized and tagged Bipolar Bandit, bipolar disorder, Colorado shooting, Empire State Building, James Holmes, Jeffrey Johnson, Loughner, Mental Illness Awareness, Michael Page, Seung-Hui Cho, stigma, stigma mental illness. Bookmark the permalink.